“There’s a moment when you have to choose whether to be silent or to stand up,” Malala Yousafzai says in the trailer for He Named Me Malala, the upcoming documentary about her life. The Pakistani activist turned 18 just last month, but already counts a Nobel Peace Prize among her accomplishments. According to Huffington Post—where you can watch the trailer, the documentary will be released in theaters on October 2, three years after the Taliban shot Malala for advocating the right of girls to an education. The film follows her life before and after the attack. “They thought that the bullet would silence us. But I am the same Malala,” she says in the film. Just let all those tears flow down your face like a river. 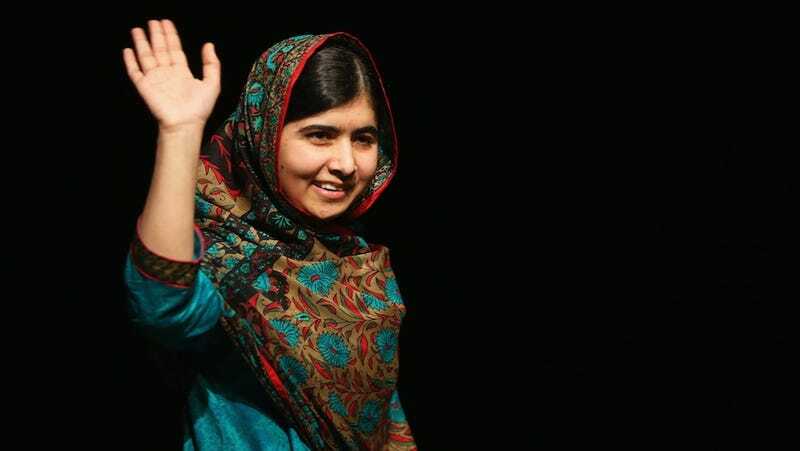 He Named Me Malala was directed by Davis Guggenheim, who was also behind the Al Gore documentary, An Inconvenient Truth, as well as Waiting for Superman.